Family Finding Boot Camps are four-day immersion workshops for staff, supervisors and managers learning the philosophy, framework and skills of Family Finding practice. Participants work in small and medium sized teams, actually practicing Family Finding for children and youth who are in out-of-home care or supporting families who are new to child welfare, using their own files. Participants leave the immersion experience having: – learned and practiced the skills of Family Finding, – developed a sense of confidence in their use of the skills, and most importantly – gained the understanding that Family Finding for most youth and families takes less than 20 hours and can be completed in weeks rather than months. Family Finding is an evidence-based six-step model that responds to those involved in the child intervention system. Research on a variety of Family Finding projects has demonstrated that Family Finding works to significantly increase the number of relatives and other important known adult connections for children in care and leads to an average of five to eight offers of help from these adults. Family Finding has proven to be an effective program for finding and engaging relatives and significant adults for children required to come into care to maintain their safety. 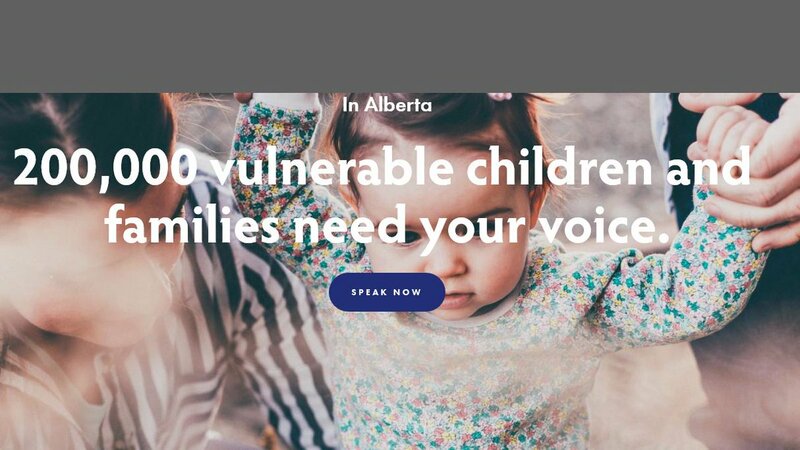 Family Finding strategies align with the Child Intervention Practice Framework and formally complement the Signs of Safety® approach to child intervention currently being implemented in Alberta. Learn how the Family Finding connection processes will augment your current practice and assist you in connecting children with significant family members. Kevin Campbell has developed a three-day intensive training to expand and sharpen the skills of intervention workers in family meeting facilitation and participation. Child Intervention staff will leave the training with an expanded tool kit of strategies, techniques and activities to create powerful family and community meetings that move planning and decision-making teams to action on behalf of children and their families. This training does not require prior completion of the Family Finding Boot Camp to attend. This training is open to Child Intervention Staff (regional and DFNA). Please register through Ole. The boot camp training is available to Child Intervention staff (regional and DFNA) and contracted agency staff. For Child Intervention staff (regional and DFNA)-registration occurs through Ole and for contracted agency partners registration occurs through Align. This foundational training in the Family Finding process is suitable for Child Intervention staff from front line workers to senior managers. Staff that are interested in the training need to ensure they have completed the prerequisite training noted above as well as have their supervisor’s approval prior to registering for the sessions. Further information for each session including venue location will be sent to registered participants closer to the event dates. Please bring an active case of a child you are worried about for use in the small group work and exercises. DO NOT bring the paper file- just the information in your head or cheat sheet summary of the family, concerns, history, people involved etc- specific dates and tombstone information should not be needed. It is an expectation that all in attendance will maintain the confidentiality of all family details discussed though the learning. If you are not currently involved in active casework you will be able to work with others at your table who are. A lunch will be provided, including vegetarian options. Other dietary restrictions or needs, however, are the responsibility of the individual. Dr. Bessel van der Kolk, one of the world’s leading experts on developmental trauma, explains how our long-term health and happiness can be compromised by prior exposure to violence, emotional abuse, and other forms of traumatic stress. Terry Cross – Founder of the National Indian Child Welfare Association now serving as senior advisor. He is the author of Positive Indian Parenting and co-authored Towards a Culturally Competent System of Care, published by Georgetown University. He has 40 years of experience in child welfare, including 10 years direct practice. Children Services will be bringing Kevin Campbell the Family Finding trainer across the province in 2018, to provide a 4 day boot-camps again and mentoring to help build provincial capacity. We are currently discussing how to bring youth and lifelong networks to Alberta with Kevin. Kevin will also be facilitating 2 workshops at the ALIGN annual conference in January. Kevin will be providing 2 – 1 day workshops for Caregivers in Edmonton January 24th and Calgary January 23th. The Family Finding is an excellent approach to bringing Trauma Informed knowledge into practice, aligning with the Signs of Safety and building resiliency in children through building life long networks. Kevin Campbell is an internationally known youth permanency expert, founder of the Center for Family Finding and Youth Connectedness and developer of the Family Finding model. This model is a set of strategies now utilized throughout the United States and Canada to establish lifelong supports for children and youth in care. The Family Finding approach is aligned with the CIPF principles, particularly those of Preserve Family and Connection. Family Finding is also formally connected with the Signs of Safety® practice approach. Family & Children’s Services of the Waterloo Region are proud to have partnered with Kevin Campbell and Seneca Family of Agencies to be the Canadian Portal of Family Finding. Their goal and commitment is to bring Family Finding across the country and they now offer a variety of services and options to meet all of your training needs. Click Here for a list of training topics offered by Kevin Campbell and/or Family & Children’s Services.